Once upon a time there was a handsome hot cross bun and he fell in love with a sensational cinnamon roll and they had lots of little hot cross cinnamon bun babies and lived happily ever after! Well, okay they didn’t live happily ever after ‘cos I ate all the babies… erm, yeah that’s kinda creepy. Anyway, it’s no secret I love hot cross buns but I also love the sugary spiced filling of a cinnamon roll and so I did that thing that I do where I combine two desserts and make the world a better place. You’re welcome. This is my favourite yeasty dough recipe – not only is it light and fluffy but it’s also a throw-everything-in-a-bowl kinda recipe. Basically, the best kind! I’ve used the Natura Light Muscovado Sugar in the dough, the filling AND the crunchy almond topping (yes, there’s a a caramel crunch topping!) 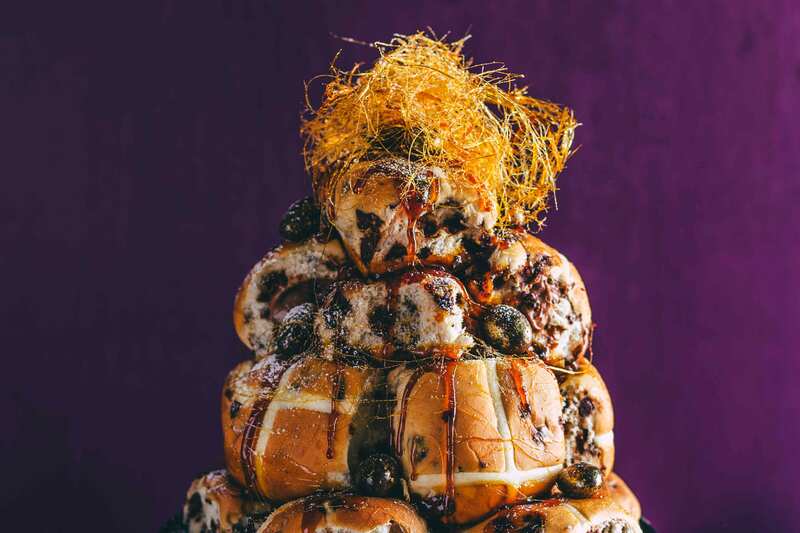 as it adds such a beautiful deep, rich flavour to the buns and really let’s be honest, at Easter the more sugar the better (especially if it’s unrefined and better-for-you) . 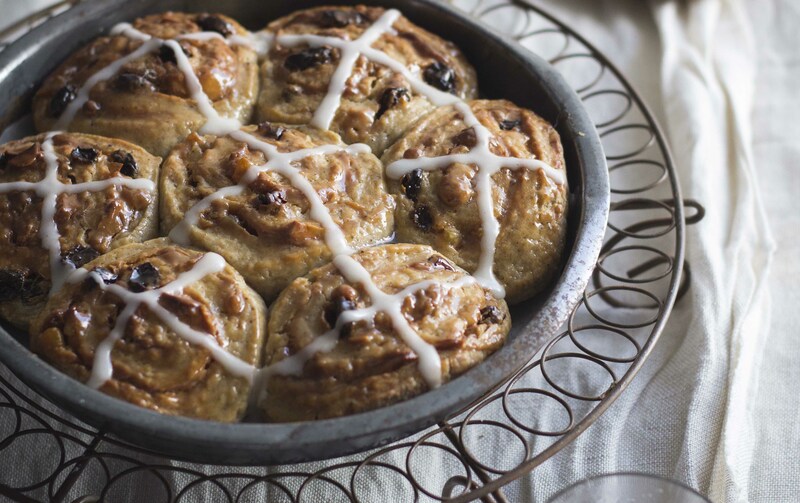 If you don’t want to make little hot cross cinnamon bun babies, and would rather make good ol’ hot cross buns, just leave out the topping and knead the filling into the dough instead. 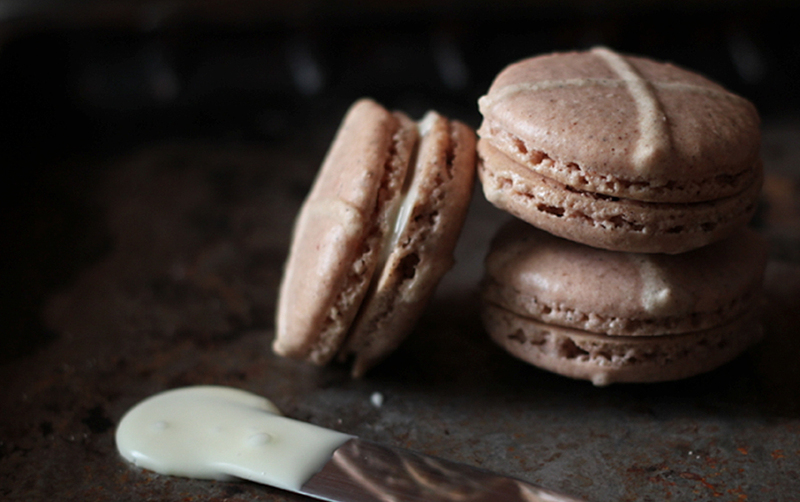 I left out the candied peel – because bleh – but you’re welcome to add it. About 1 tbsp should do the trick. Also, some chocolate chips wouldn’t hurt #justsaying. 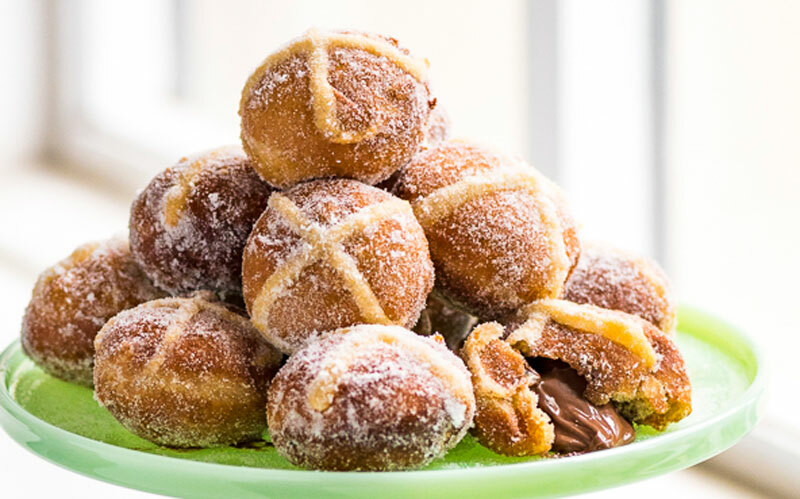 Now, go forth and eat your weight in chocolate and spiced carbs this weekend, people, because during Easter, calories don’t count! Make the dough by placing all the ingredients in a mixing bowl (I use a stand mixer to make it easier) and combine until a soft dough forms (add a little more milk or water if neccesary). Knead the dough for 8-10 minutes or until it’s smooth and springs back when poked with a finger. Cover the dough and leave to rise in a warm place until doubled in size (about 1 hour). 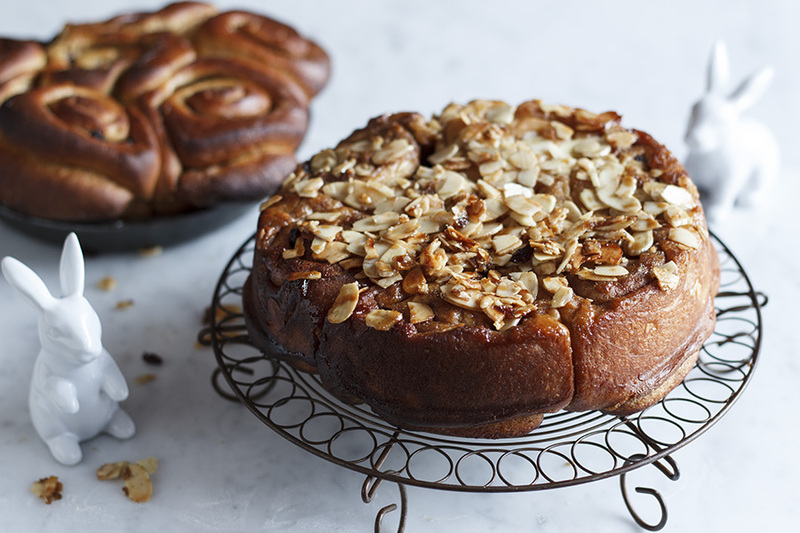 In the meantime, prepare the baking tray by rubbing a 20x30cm baking dish with the butter then sprinkle in the sugar and scatter the almonds on top. Set aside. Knock down the dough and knead it lightly to press out the air then roll out into a 20x30cm rectangle. Spread the dough with the softened butter then sprinkle over the sugar, raisins and remaining spices. Roll the dough up tightly (from the longest side) to form a sausage then slice into 2cm thick wheels. Pack the buns into the prepared baking sheet on top of your glaze then cover loosely with cling wrap and allow to rise in a warm place until doubled in size. Preheat the oven to 200C (conventional, 180 fan-forced) and bake for 20-30 minutes until golden. Turn out immediately then allow to cool slightly before serving warm. 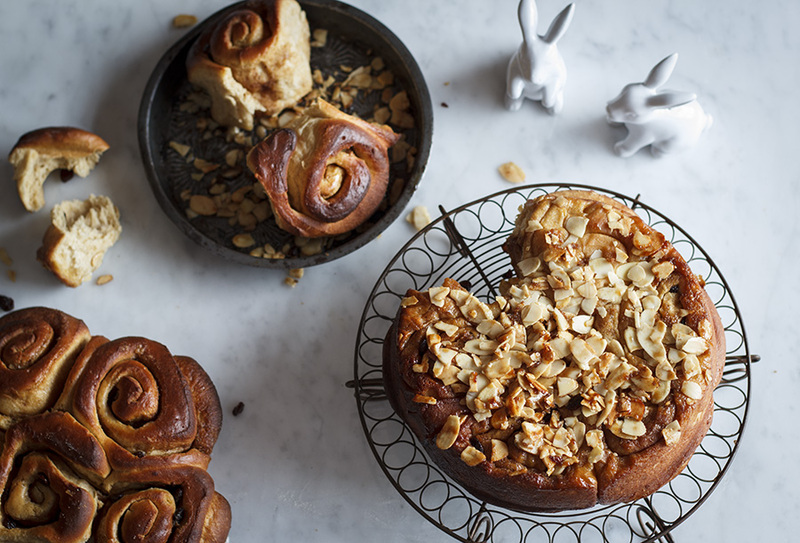 TIP These buns are best eaten on the day they are made – or even better, straight out the oven!